Fitness and activity trackers have been the breakout tech of 2013 so far. We’re at the stage now where the market is, frankly, full of ‘me-too’s’. Typically, they’re brightly coloured wristbands which measure how many steps you take and track that data back to an analytics suite. they’re a nice upgrade on the humble old pedometer, especially when you add in features like sleep tracking. The Withings Pulse wouldn’t be so different but for its one really useful addition – as the name would suggest, it measures your pulse rate throughout the day. 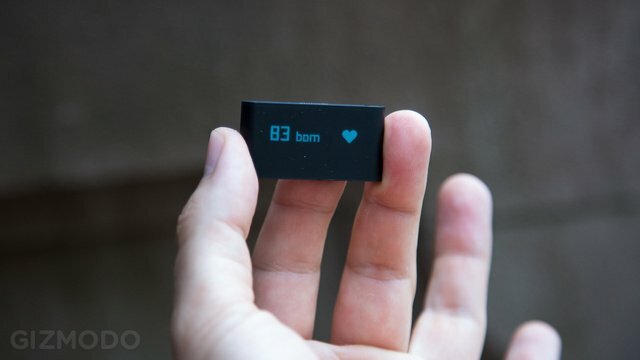 What Is the Withings Pulse? Not dissimilar to other activity trackers, the Withings Pulse is a small piece of fitness technology that collects valuable data around your daily activity. This includes how many steps you take in the day, how far you travel, how your heart rate behaves as you do all of this and then finally, how well you sleep at the end of the day. It gathers in all of this data, crunches it in its algorithms and then starts gently haranguing you in to getting off your backside and doing some more walking. Who should buy the Withings Pulse? The Withings Pulse is made for people who like data, or more specifically in this instance – people who like to use data in order to measure their activity. Probably even more so, the Withings Pulse is a great device for anybody who needs that bit of extra encouragement to get going. Many people have invested in activity trackers and when they look back six months later, they’re amazed at all of the small improvements they have made over that period, and just how much additional exercise that adds up to. These little gadgets have a remarkable knack of encouraging you to walk that one extra tube stop or to take the stairs rather than the lift. Frankly, there is nothing special about this gadgets design. Like most of the ‘not on view’ fit-tech gadgets, its small, unassuming and really quite strangely shaped. 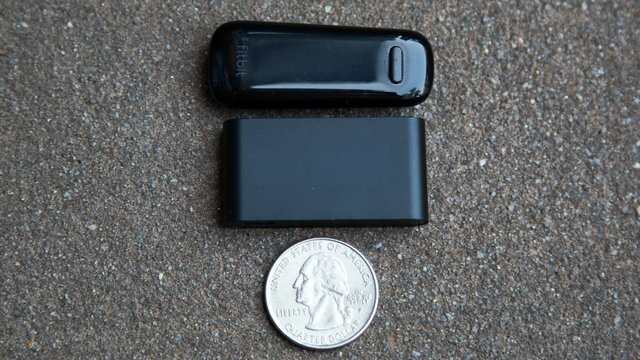 It’s essentially a small black rectangle that comes in at 4.3 CM long and 2.2cm wide. Whilst in its inactive state, it’s really very unassuming. I would guess that they have designed this to fit in to very small pockets, such as the money pocket on your jeans, where it would fit snug and is unlikely to fall out and get inadvertently lost. 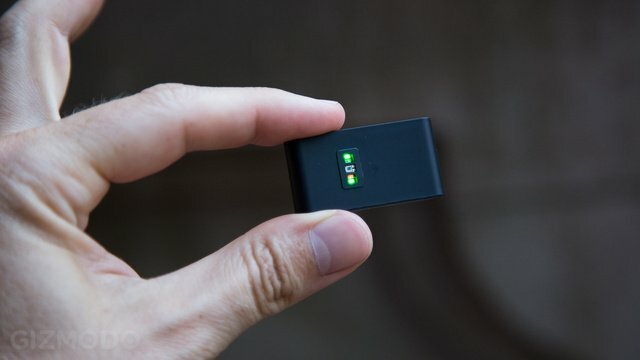 On its base sits a simple micro-USB charging port and the Oximeter – allowing it to measure your pulse – sits on the back of the handsome gadget. However, when you press the one and only button on the device, a small LED screen bursts into life. This gives you all of your basic stats as a running total for the day, including the number of steps taken, distance walked, elevation climbed and a rough estimate on calories burned. 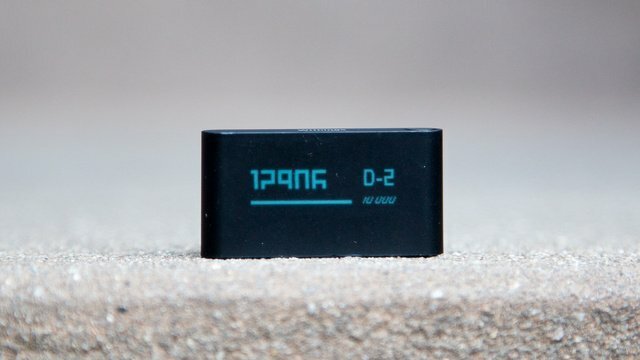 The device also provides feedback on battery level and the time of day. The device syncs via Bluetooth 4.0, which allows it to sync seamlessly with the majority of new-ish smartphones. It’s nice to have the auto-sync feature, especially when a lot of activity trackers require you to plug them in to upload the data. Besides that, using it is as simple as popping it in your pocket and taking the occasional pulse reading. This is done by touching the heart logo on the device, which sets off the reader and gathers a quick pulse reading. This is all done in ten seconds flat. Syncing is seamless with the latest iPhone, and presumably also with other leading manufacturers. Syncs with Withings bodyfat scales to give you the wider feedback around the impact of your additional exercise. Battery was good for ~ 5 days. Whilst the Fitbit averages more like 6-7 days, we still find this to be highly impressive and most importantly, functional. lack of thought around certain metrics. 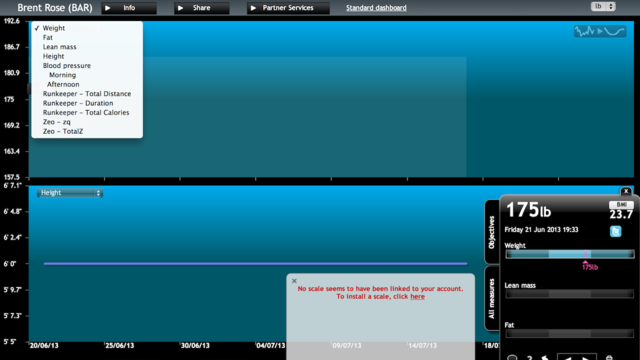 For example, the web app shows your height over a number of weeks. Unless we’ve missed the point and this device is actually aimed at children, then this makes no sense. The 6-hour auto-sync is not flawless – we sometimes had to manually sync the data. Not a huge problem, but a strange one nevertheless. Some software elements carry some light bugs. These are improving with the frequent updates but a slight pain in the meantime. Withings Pulse: To buy or not to buy? As a bottom line we think it comes down to what smartphone you have. if your smartphone is compatible for the syncing, then the additional metrics make this the better pick (verses the Fitbit). 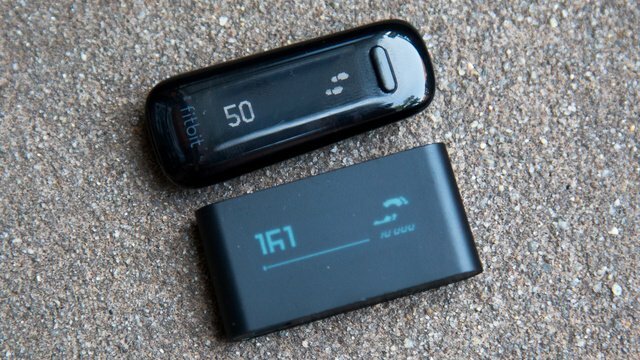 If not, we would recommend the Fitbit – which is a device that we rated highly when we reviewed it recently.